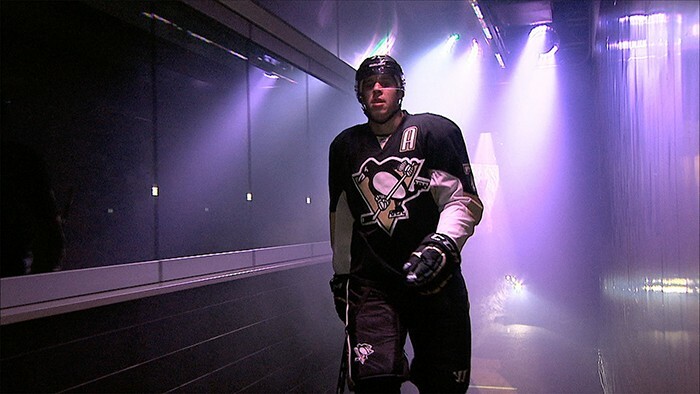 USA – Robe’s unique Cyclone combined LED washlight and fan fixtures literally joined thousands of excited fans of Pittsburgh’s National Hockey League (NHL) team – the Pittsburgh Penguins – for the all-important players' entrance at their 2014-15 season opening match. This was part of a spectacular pre-show event staged at the Penguins’ CONSOL Energy Center home venue in Pittsburgh, Pennsylvania. The opening match show was lit by Kevin Hogan from Process of Illumination, LD to the Penguins’ shows since 2005, and broadcast on Root Sports and the NHL network. The four Cyclones were placed in the runway tunnel used by the players as they come onto the ice. At the start of the match, the tension builds and the players each make their individual entrances onto the ice. 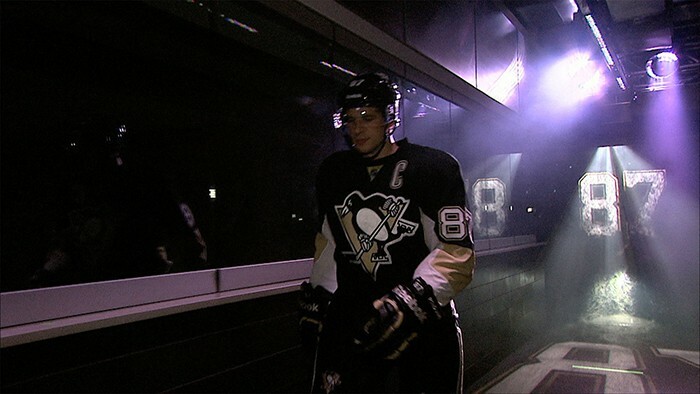 On this occasion, they emerged from the corridor through a fog screen with a special ‘Pittsburgh Penguins’ animation projected onto it together with each player’s jersey number. As they approached the fogscreen, Hogan used a Cyclone on the ground to back light the player, then tilted the same fixture down to flare dramatically into the camera lens as they walked out. As each one passed through the fog screen and onto the ice, two additional Cyclones rigged above provided eye-catching movement and jazzy beam effects. The fourth Cyclone was positioned right next to the door used by the players to enter their bench area, and this fixture played into the last camera shot as they hit the ice. The Cyclones were “…the perfect fixture for this particular situation,” stated Hogan who needed to maximise the amount of eye candy he could get from one unit. “The Cyclone is completely unique! There is nothing else that I could have used to achieve these great effects,” he commented, extremely pleased with the results. The air current rushing backwards off the ice into the locker room runway was extremely strong but the Cyclones effortlessly pushed the haze back against this and ensured that Hogan had excellent atmospheric coverage all the way back down the corridor. “The Cyclones provided me with a great solution for something I have battled with for years,” he said, adding that using them also made it very easy and convenient to fine-tune and tweak the amount of haze coverage from his Road Hog Full Boar lighting console. The Cyclones were supplied to the opening match by Mainlight and Karate Pinky Visual Design, a company run by lighting designer Scott Warner, who originated the Cyclone concept which Robe then developed as part of their highly successful ROBIN range. Warner is local to Pittsburgh, so the Penguins are his home team and Hogan was therefore even keener to show off the Cyclone at such a high-profile event which was the talk of the town and received great press and media coverage. He’s also impressed with the collaboration between Robe and Warner, who hit upon the idea a couple of years ago when continually having to move his floor lights to accommodate fans for one of this clients. In addition to the Cyclones – which Hogan plans on using again – he also has 12 Robe Pointes in his house rig at the CONSOL Energy Center which were also prominent during the season-opening show. The Cyclone is a high-powered LED wash light with an built-in DMX controlled fan, integrating lighting via a ring of 24 RGBW multichip LEDs with effects via the fan, providing an inventive tool for creating amazing atmospheric visual effects. The ring of LEDs around the perimeter have an 8 - 63 degree zoom and the variable speed and individually-controllable fan in the center is combined with a snoot to encourage a strong directional central airflow which can be adjusted to suit numerous applications and combined with additional fog and haze sources. In picture: Team Captain Sidney Crosby; tar Player Evgeni Malkin.